Water Sub-Meter: Paying Too Much For Your Water? Did you know that the Los Angeles City Council authorized a procedure in which their DWP customers may install a private Water Sub-Meter on their property to calculate the actual amount of water that goes into the city sewer system via the drainage and sewer systems in their home? Customers use data from private water sub-meters in the calculation of their sewer service charges (SSC). If your property does not have a Water Sub-Meter, the DWP estimates your sewer service charge (SSC) based on a percentage of the volume delivered to your home through the city meter. 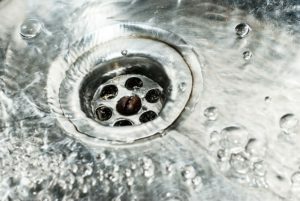 The DWP estimates that approximately 60% of the water delivered to your home is going down the drain and into the sewer system and you are charged accordingly. However, if you water your lawn or if you have a pool, much of the water you use is actually not going down the drain, yet you are paying the sewer service charge (SSC) as if it were. Installation of a Water Sub-Meter allows the DWP to determine the actual amount of water going down the drain, not an estimate. In most cases customers see a significant reduction of the sewer charges on their water bill. If you are interested in a free estimate or have any questions, please call the experts at Green’s Plumbing at (818) 880-8847 .